ASUS launches the Zen AiO ZN270 as a new all-in-one PC. It has a 27-inch display and wants to convince with elegant housings. Powered by a current Intel Core i5 processor and fast DDR4 memory, the device is intended to provide excellent service in the office or living room. 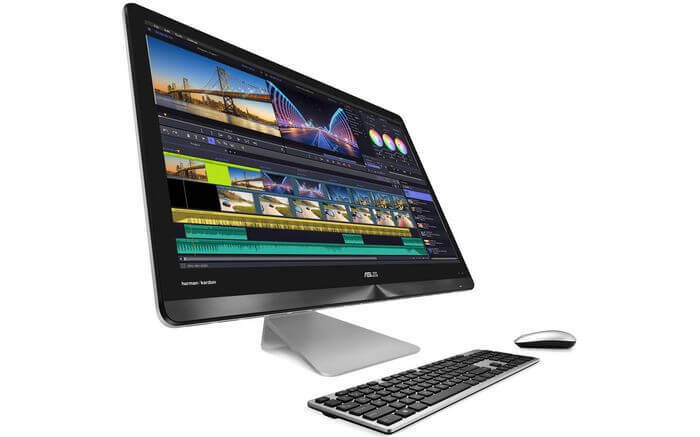 Asus will be selling its new all-in-one PC Zen AiO ZN270 from the end of March in Europe. The device with a large 27-inch touchscreen is to convince by slim dimensions and elegant design and directly with Apple’s cheaper iMac models to the favor of the customers. Thanks to a screen-to-case ratio of 74 percent, the edges around the screen – especially on the left and right sides – are narrow. An up-to-date Intel processor and generous memory storage ensure a high working speed. 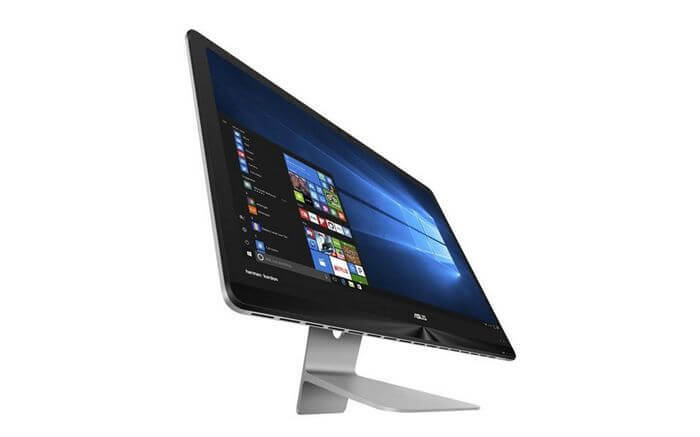 The 27-inch display of the Zen AiO ZN270 supports 10-finger touch and resolves with 1920 x 1080 pixels. In the chassis, the manufacturer installed an Intel Core i5-7400T processor of the 7th core generation (Kaby Lake), which has four data cores but does not support hyper threading. This CPU is a Nvidia GeForce 950MX GPU with 2 gigabytes of VRAM and 16 gigabytes of DDR4 RAM aside. A combination of 128 gigabytes of SSD and 1 terabyte of a hard disk are used as data carriers. Windows 10 (64-bit version) is pre-installed as an operating system. 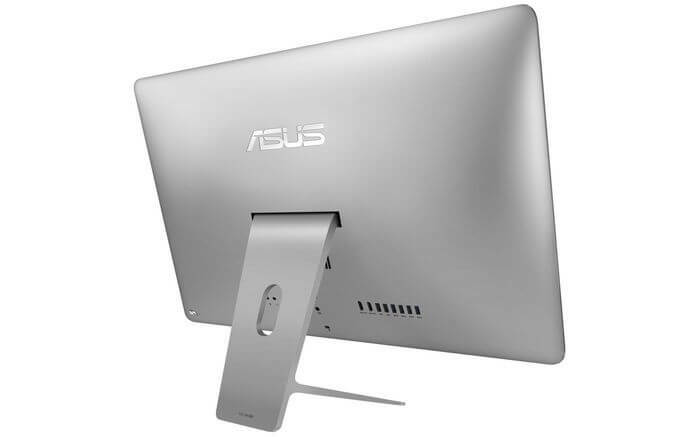 Asus is also providing the AiO-PC with its 10.2 kilograms and 649 x 62 x 481 millimeters. The device offers 4x USB 3.1 Gen 1, 2x USB 2.0, 1x HDMI-In, 1x HDMI-Out (1.4), 1x Gigabit LAN, 1x Headphone 2-in-1 and an SD / MMC card reader. In addition, a 1-megapixel webcam, four 3 Watt speakers from Harman Kardon and support for WLAN according to 802.11ac as well as Bluetooth 4.1 are offered. 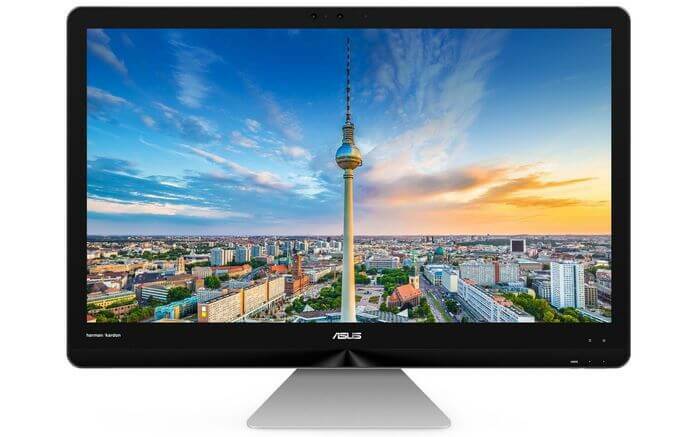 According to official data, the Asus Zen AiO ZN270 will be available from the end of March at a recommended retail price of 1499 euros in the German specialist trade.